Environmental funding has been tied to foreign actors, which raises concerns over the role geopolitics plays in environmental advocacy. 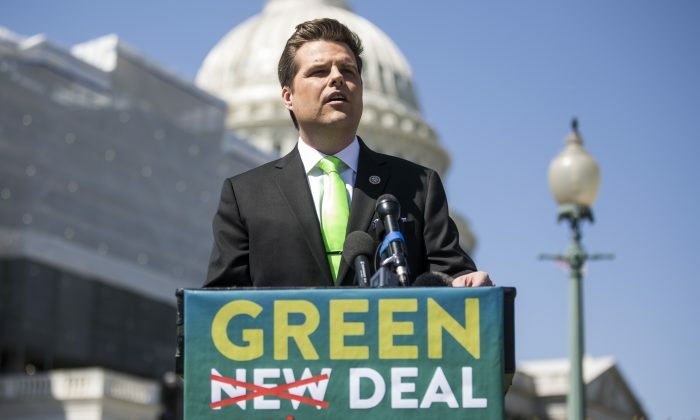 Rep. Matt Gaetz (R-Fla.)—is drafting a “Green Real Deal” as a 10-percent-less alternative to Ocasio-Cortez’s Green New Deal. Sen. Lamar Alexander (R-Tenn.) is calling for a “Manhattan Project” to force Americans to utilize expensive, unreliable energy sources.The biggest difference between Ocasio-Cortez’s Green New Deal and Alexander’s “New Manhattan Project for Clean Energy” is that Ocasio-Cortez calls for a “moon shot” program and Alexander calls for a “Manhattan Project.” Big deal. Wash Post: "It’s become increasingly clear that climate change has played a significant part in deepening the extreme poverty and insecurity that compels many to head north. According to the World Bank, climate change could lead to at least 1.4 million people leaving their homes in Mexico and Central America over the next three decades." Submit the form below to send me a lead!